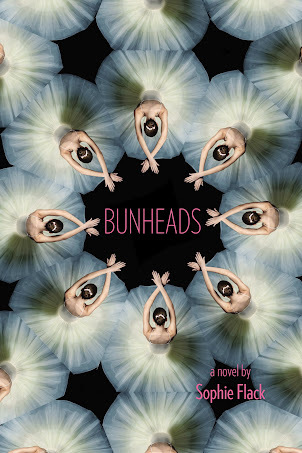 Bunheads by Sophie Flack [Book Review] – my books. my life. 19-year-old Hannah Ward is a member of the corps de ballet at the Manhattan Ballet Company. As soloist roles begin to be in her reach, she thinks she’s finally getting what she’s worked her whole life for. Then she meets Jacob and she begins to question everything. I may have made the mistake of reading this book too soon after reading The Cranes Dance. Where The Cranes Dance went beyond the world of ballet, Bunheads didn’t stray much from the cliches – a lengthy description of how she breaks in her pointe shoes, the struggle to balance career and love, etc. This doesn’t mean I didn’t enjoy Bunheads. I did. Simply because I almost always love books and movies about ballet (with the exception of Save the Last Dance – I’m sorry but that girl could NOT have gotten into Juliard). It was a quick, light read and I’d recommend it if you’re looking for a run-of-the-mill novel about life as a ballerina. But if you’re looking for anything deeper, I’d suggest looking elsewhere. I have been waiting for someone to review this book, and I am glad that you did. It sounds as if this didn’t capture the lives of young ballerinas as well as some other books do, so I think I will pass on it. Instead, I am going to look into The Cranes Dance. Thanks for your honest take on this one. I haven’t heard of this book but I do love books about dance. Most though are so cliched and sound like this book. Do you know if this is the book that the TV show Bunheads is based on? I haven’t seen it, just heard of it so I don’t even know what it’s about other than dance. I might look into The Cranes Dance instead since it seems to have more substance. I loved Save the Last Dance lol! But I agree about her getting into juliard. I actually got the cranes dance from the library after your review but haven’t been reading much lately. I’ll probably stick to just reading that one.